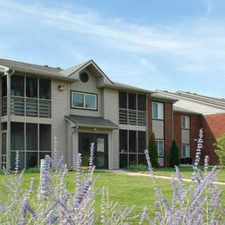 The rent at Sandstone Court Apartments ranges from $629 for a one bedroom to a $879 two bedroom. Apartments in this building are about 8% less expensive than the Greenwood average. This is a pet-friendly apartment. This apartment is in Greenwood. Nearby parks include Childrens Garden Park and Old City Park. Sandstone Court Apartments has a Walk Score of 11 out of 100. This location is a Car-Dependent neighborhood so almost all errands require a car. A LOCATION IN A FRIENDLY COMMUNITY AND CLOSE TO EVERYTHING! Conveniently nestled in the popular community of Greenwood, we've done a complete exterior renovation and have upgraded all interiors for your enjoyment. We're located only three minutes from Greenwood Park Mall, dining, entertainment, I-65 and much more! Come by today and let our friendly staff take you on a personal tour of our community and tell you about the wonderful lifestyle you'll enjoy here at Sandstone Court! Follow us on Facebook, Twitter or click on News and Updates below. *Residents are responsible for electric, water, sewer, gas*, and phone/cable expenses. Explore how far you can travel by car, bus, bike and foot from Sandstone Court Apartments. 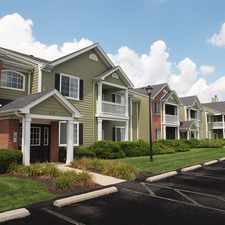 Sandstone Court Apartments is in the city of Greenwood, IN. Greenwood has an average Walk Score of 21 and has 49,791 residents.